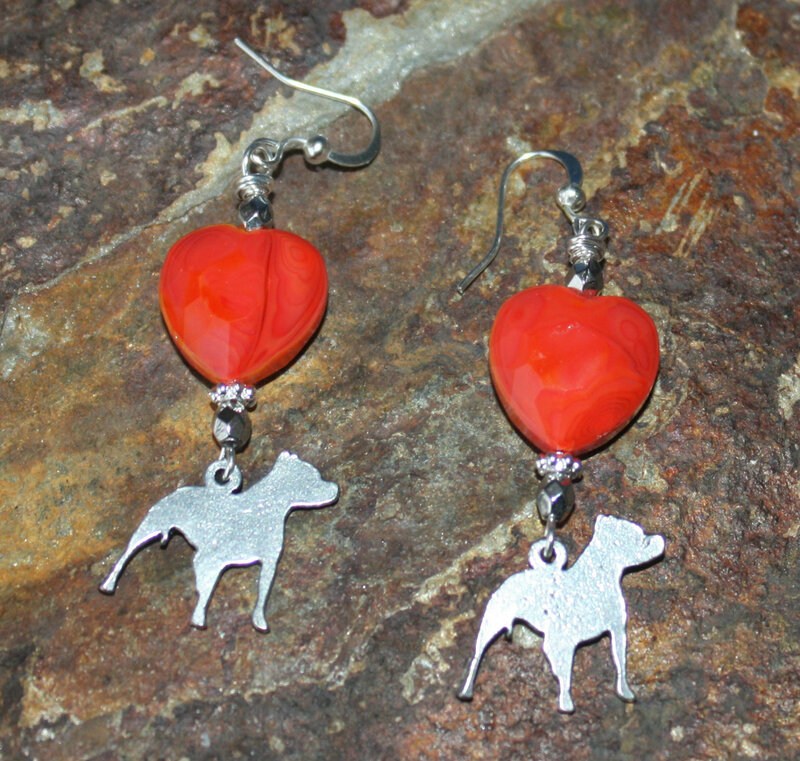 You love your pit bull and now you can show this love with these red heart and pit bull charm earrings. Perfect when casual or dressed up. 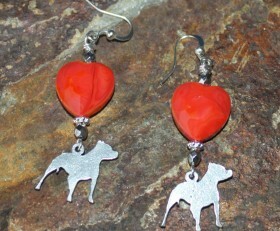 $2 from the sale of these earrings goes to The Lazy Pit Bull. Categories: Animals, Dog Breed Jewelry, Dog Earrings, Dog Lovers Jewelry, Rescue Dog Jewelry, The Lazy Pit Bull, Valentines Day.